80 days. Solanum lycopersicum. Open Pollinated. 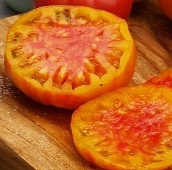 Plant produces high yields of 1 to 2 lb bi-colored golden yellow beefsteak tomatoes with red stripes that turn into a ruby blush on top.It has the rich full tomato flavor. 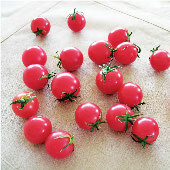 One of the best tasting, most beautiful, and best producing bi-colored tomatoes. Perfect for salads, slicing, sandwiches, and culinary creations. 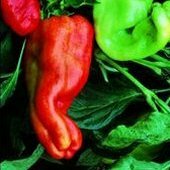 Excellent choice for home gardens. 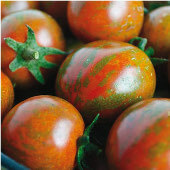 A heirloom variety from Virginia, USA. Indeterminate.